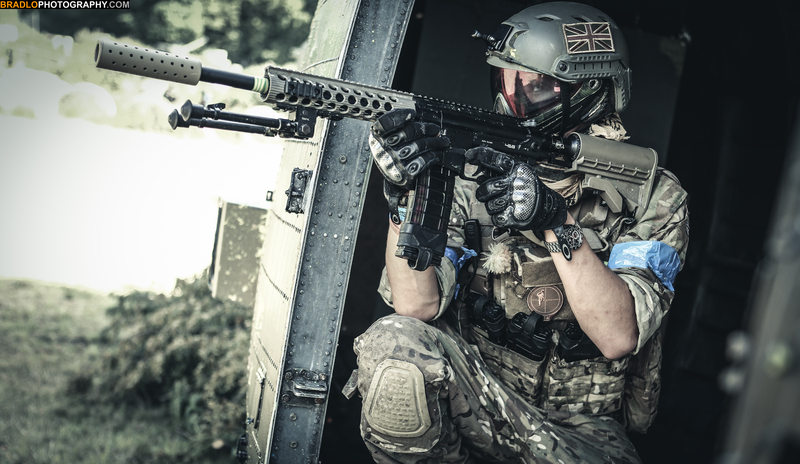 Mayhem will be holding our 1st Mayhem Tactical event of 2015 on Sunday the 2nd of February. If you haven't played here at Mayhem Abridge before, it is a fantastic, 1st rate paintballing venue with indoor kitting up areas, dozens of varied army vehicles such as tanks, helicopters, planes, etc, brick built showers and toilets, safe areas on every playing field with drinking water, on-site well stocked shop and much, much more. Pricing is £40 including 500 paintballs if you pre-pay, or £45 if you pay on the day. Additional paint will be available on the day at competitive prices. First strike will also be available to purchase on the day. If you'd like just first strike instead of the 500 paintballs, 30 FS rounds will be included instead of the 500 paintballs. Mayhem is a site-only paint venue. The paint we will be using on the day is a Sterling Claymore ball, specially designed for Mag-Fed paintball, is perfect for the current climate conditions and is made here in the UK. No pyrotechnics are to be used by players, although we will be using pyrotechnics as part of missions. This will be explained to players on the day. If you would like to rent equipment, it will be an additional £10 and will include overalls, thermal double glazed goggles and a TPX pistol. Dye DAM's are also available to rent for an extra £10 (£20 in total).